My friend and I ate here for the last time today. I will miss this place. 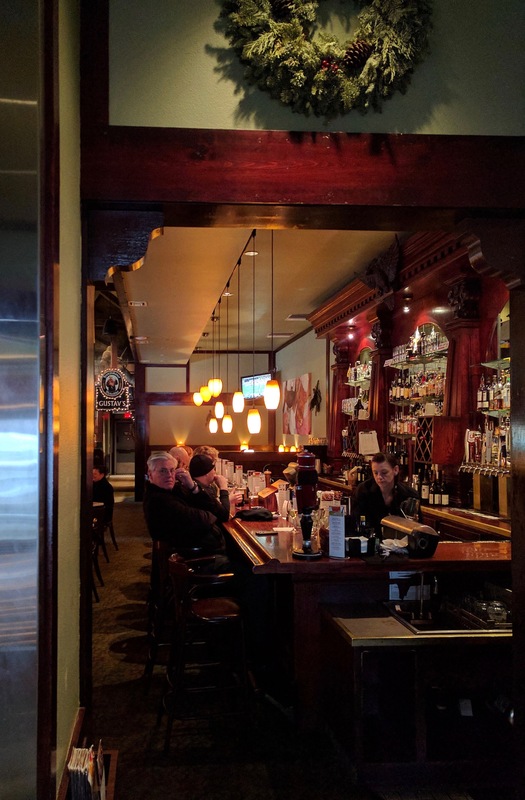 Gustav’s pub and adjoining Rheinlander restaurant will be closing its doors after 53 years. I’m not sure of the reason, but sadly, nothing lasts forever. 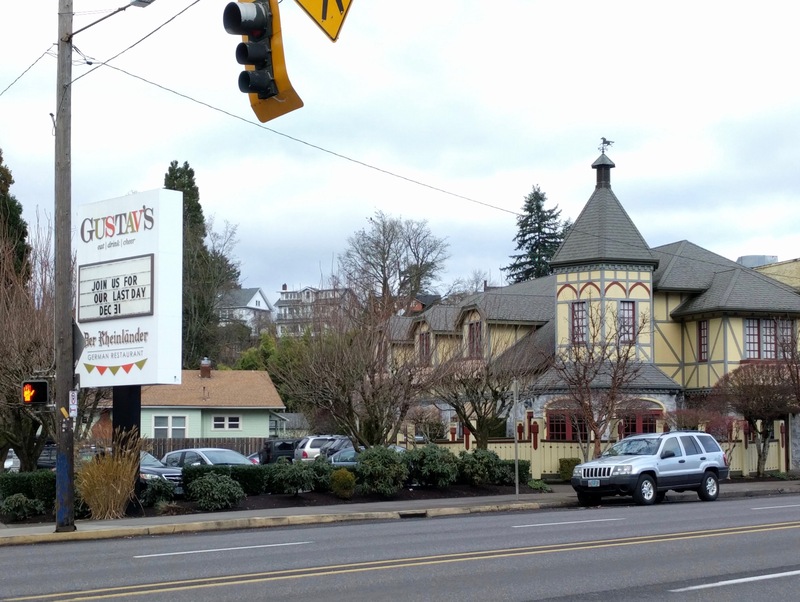 The turreted, half-timbered building is a Northeast Sandy Boulevard landmark, the place to go when you want German comfort food. I have dined there with friends and family so many times, it’s sad to imagine the neighborhood without it. It’s cozy and comforting like a big hug, and I included it in my upcoming book, Zen Flowers, before I had any idea it would be closing. My stomach growls, reminding me that it’s well into the afternoon and I haven’t eaten since breakfast early this morning. “I heard that,” he says. “I could do with a beer, though,” he says. “That can be arranged.” I turn off 82nd onto Sandy Blvd, heading for the closest brewery, but at the last minute, I change my mind. Gustav’s, the German pub across the street with its cozy bar, all heavy dark wood and dim lighting, would be more comforting. I pull into the parking lot behind the turreted, half-timbered building, and we get out of the car. Brendan lights a cigarette and takes a deep drag. We go around to the front of the place, taking our time while he smokes. He puts his cigarette out in the ashtray by the entrance, and we go inside. The blonde waitress grabs a couple of menus and shows us to one of the side booths. We both order Spaten Optimator; dark, rich, and elemental. I watch him across the table. The fire has gone out of his eyes. I hate seeing him so subdued. The waitress is eyeing him, too—actually both of us. We look alike, both a bit worse for wear like shipwreck survivors. She’ll be wanting to take care of us; women are funny that way. We both order the shepherd’s pie, chunks of meat in brown sauce, covered with mashed potatoes and melted cheese. I order the sausage platter to split between us, and when the food comes, we dig in. 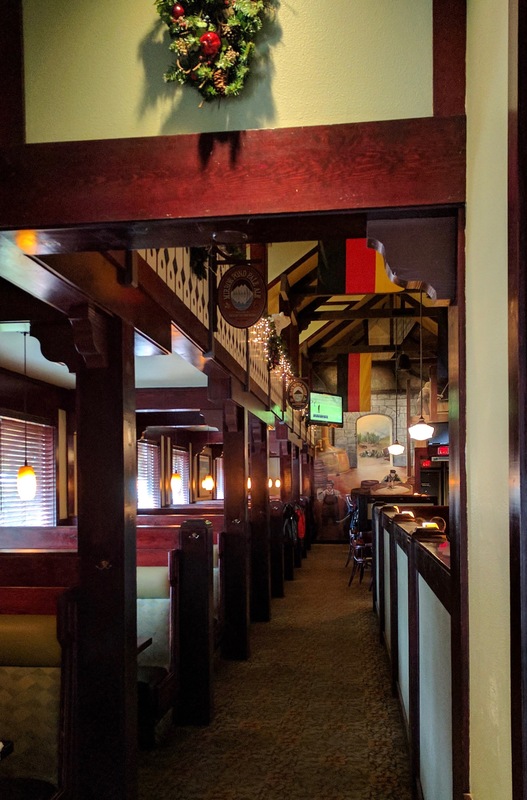 Tags: Comfort food, German food, Gustav's pub, Restaurants, Rheinlander, Zen Flowers | Permalink. I have written a memoir about my experiences during the Isla Vista riots and and just finished the fourth novel in the "Divine Presents" series. My interests are many and include photography, writing, dogs, sustainable living, gardening, meditation, world music, indigenous cultures, and archaeology.